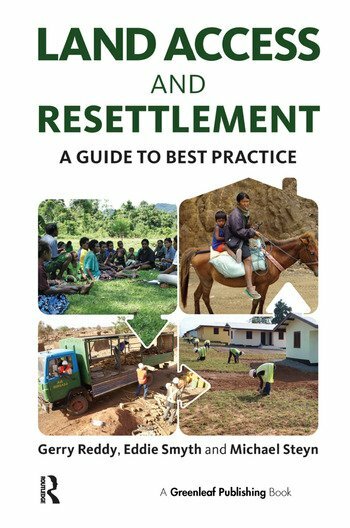 This book is an up-to-date, accessible and practical guide on how to optimally plan for, implement and review land access and resettlement. It provides step-by-step information on how to avoid pitfalls, ensure that best practice is being employed and the correct standards are being applied. With useful real-life examples of when projects have gone well and when they haven't, the book is based on the main lessons that have been learned on-the-ground over the past decade. Natural resource projects can have considerable impacts on local communities, chiefly due to the need to acquire large areas of land. When projects are located in developing and middle income economies, the impacts are most keenly felt, as it often requires displacement of large rural populations, with predominately land-based livelihoods. The authors have planned, implemented and reviewed over 50 land access and resettlement projects in over 30 countries internationally, and conducted benchmarking exercises on a further 60 projects. This experience provides the basis for the book. The book guides the reader through the different stages of preparing for a land resettlement project. Land Access and Resettlement is a key social risk for the natural resources sector, particularly the mining, oil and gas industries, who are operating in a context of increased awareness and regulation regarding the potential social impacts of their activities. At the same time, companies increasingly appreciate the business case for ‘getting social right’. This book provides a practical road map to corporate leaders, project managers, practitioners, academia, government and civil society for practically planning and implementing successful land access and resettlement, and creating win-win outcomes for companies and communities.